Join Hattie Miles for a walkingtalk to celebrate Autumn – enjoy the colours of the season, hear a few appropriate readings and find out how the English language has embraced descriptions of our country’s multitude of hues. You will also find out about some of Bournemouth’s collection of unusual trees, learn a little about the area’s history and hear tales about its connections with famous residents and visitors. and Saturday 17th October, 10.45am start. Price £6 (£5 over sixties and students). These circular walks last approximately one-and-three-quarter hours. No need to book, just turn up! After the walk you can enjoy refreshments at the café if you would like to. They do an array of yummy things for lunch including soup, open sandwiches and jacket potatoes. The café opens for breakfast at 8.00am, so should you want to treat yourself before the walk, or just have a coffee, you will be most welcome. There is a large council pay car park almost opposite Platform 19 and there is some on-street parking nearby. There are bus stops on Queen’s Road and Poole Road, just a short walk from the café. Be prepared: this walk will include some slopes and some narrow paths, which can be a bit muddy. We also walk along some boardwalks which are narrow and can be a bit slippy. I would recommend wearing flat, comfortable footwear and dressing appropriately for the weather. Join Hattie Miles for a circular walkingtalk from the Hotel Miramar, Bournemouth. You will find out about the area’s history, famous residents and visitors, and some of the town’s hidden secrets. 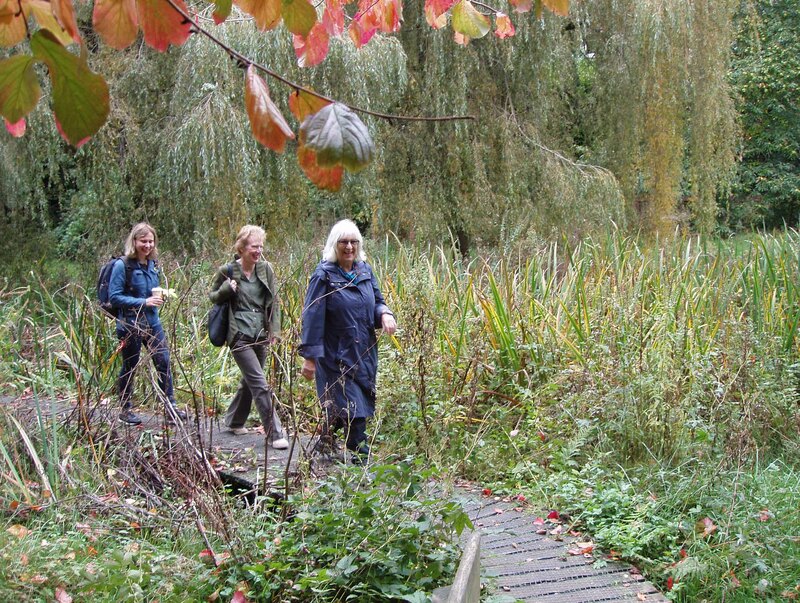 *11th October: a Sunday afternoon walkingtalk starting at 3.45pm. 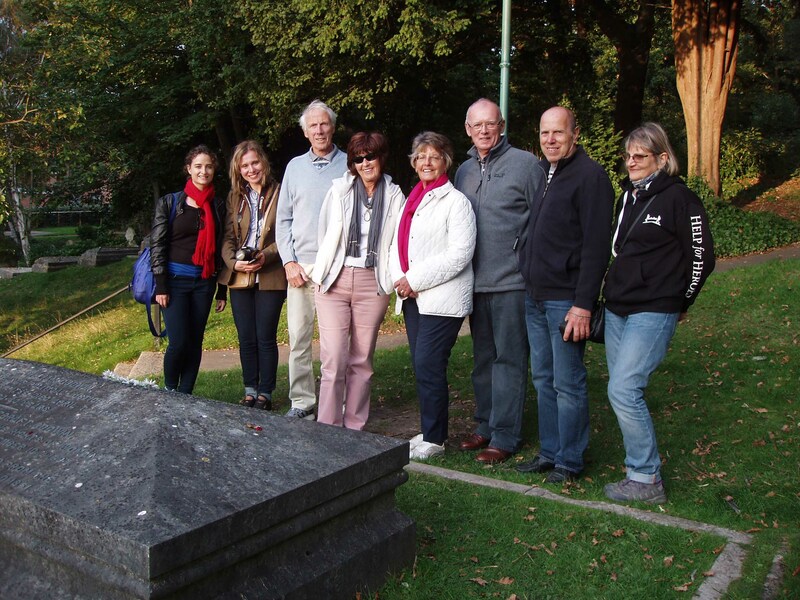 “Hidden Secrets” walkingtalkers in St Peter’s churchyard. I’m just finalising a couple of dates and will post details of October “Wonderful Westbourne” walkingtalks soon. Hope you’ve all had marvellous Summer holidays.